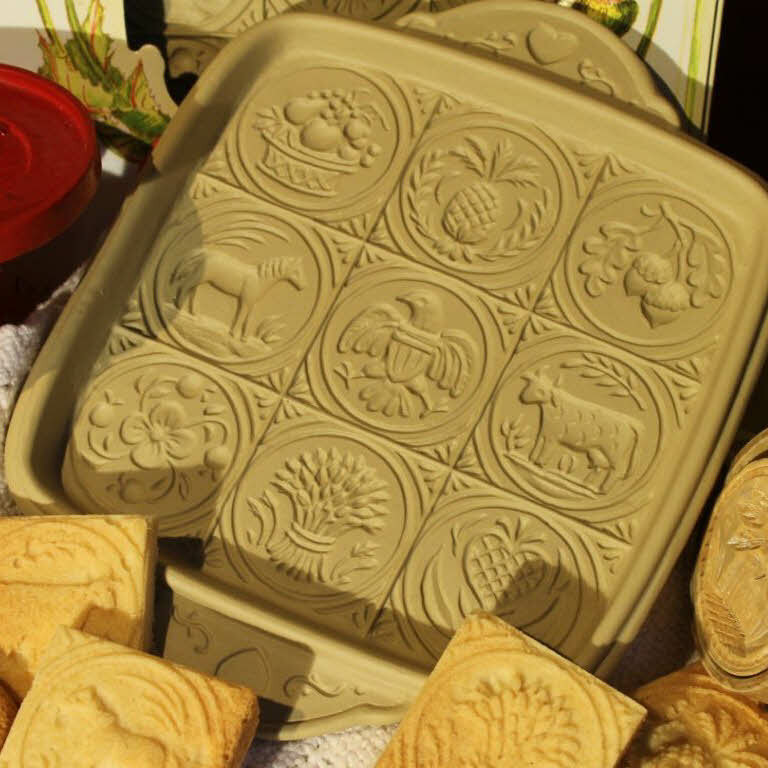 In the early years of our country, farm wives decorated their home-made butter by stamping it with carved wooden images. 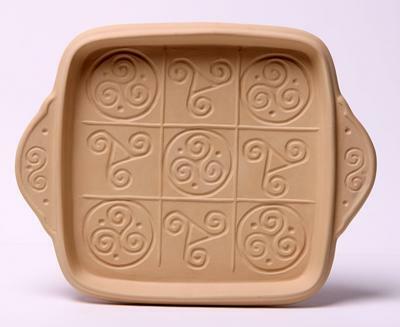 This shortbread pan reinterprets nine of these antiques designs to decorate shortbread – the best butter cookie of all. 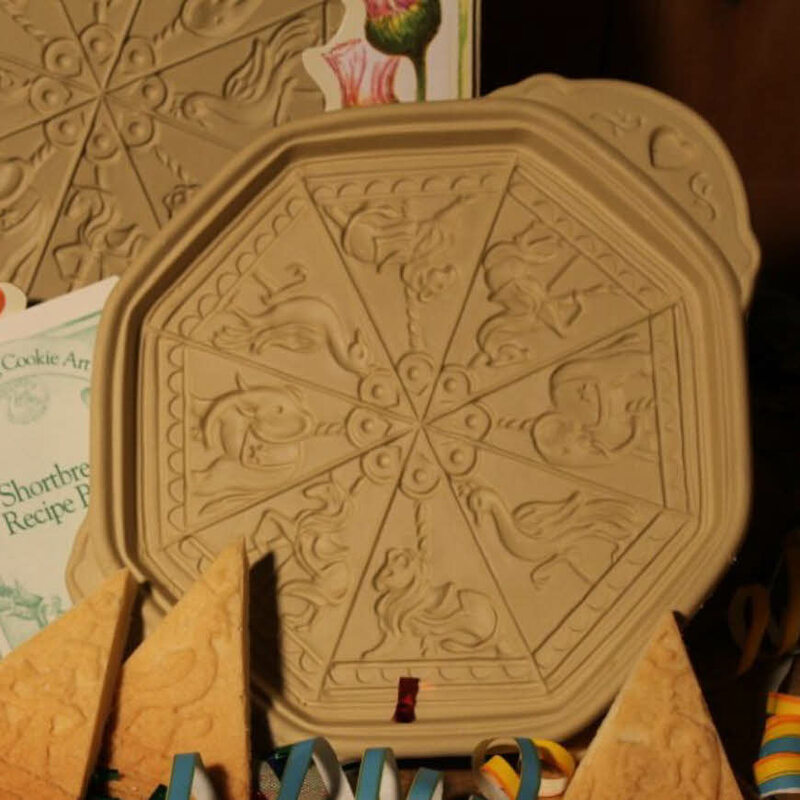 I have recently fallen in love with your shortbread cookie molds, and one in particular, with flowers and berries. I tried to buy one today, through Amazon.com, and was told I could not have it shipped to Canada. Can I buy directly from you? I would be willing to send a money order to you in advance. Surely Canadians can have these lovely molds too, can’t we? There are a number of the stores that cheerfully ship to Canada. Try contacting Nancy Williams at Nancy’s Tea Room (nancystearoom@mac.com). She ships all over the world and will take good care of you. Lee Valley Tools also carries Thistle Shortbread Pans, and I believe Snowflake pans around Christmas time.